The Finnish Spitz temperament is cheerful and intelligent which makes him fun for the whole family! 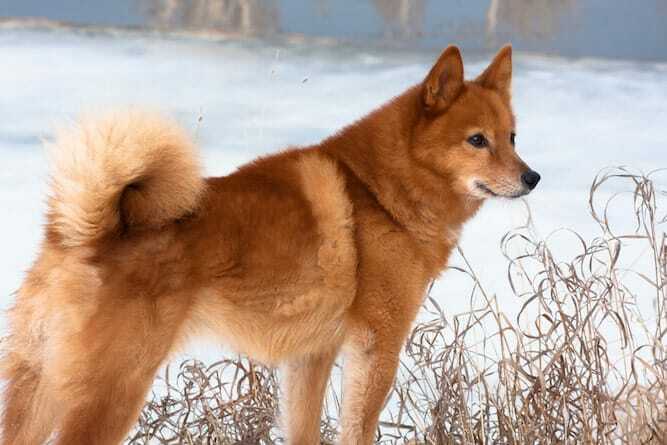 Finnish Spitz dog breeds originated from Spitz-type dogs bred in Russia thousands of years ago. Tribes known as the Finno-Ugrian tribes bred these dogs according to whatever purpose they needed them for. The Finnish Spitz quickly became a favorite because he was such a good hunter. These tribesmen relied on dogs to get them their food. When considering Spitz dogs you may see a Finnish Spitz vs. Shiba Inu comparison. Both look like foxes, and both were bred for the purpose of hunting. They have the same skills and personality types. The only difference is that one was born in Russia, while the other was born in Japan. 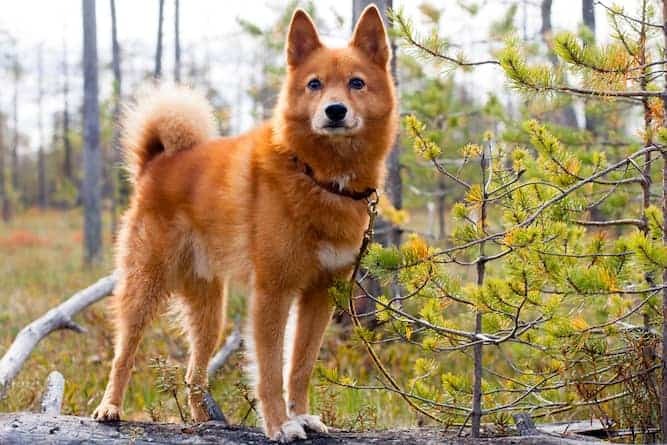 Here are six Finnish Spitz temperament traits that will help you decide if this is a breed you will enjoy. His playful nature makes him a joy to have around. It also makes him the ideal dog for a home with young children. Watching him prance around, you can almost hear the Finnish Spitz singing that “happy-go-lucky me” song to himself. He also gets along well with other dogs, provided he's socialized early, and he is not prone to aggression. 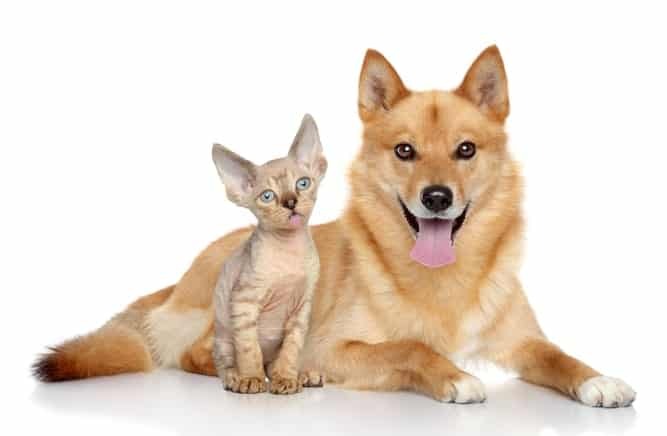 If you have a Finnish Spitz, you don't really need a cat. This dog loves to greet you with purring sounds, and he even sings and yodels from time to time! Others may call him a “yappy” dog because he loves to bark. In fact, he can bark over 150 times per minute! His barks are also high-pitched and piercing. To calm his barks down a bit, train him on the more appropriate times to use his barks. While not aggressive by nature, the Finnish Spitz is devoutly loyal to his family and protects them with his life. His hunting roots have made him a smart dog. And smart dogs make for great watchdogs, as they know what may be a threat and what isn't. His intelligence makes him a good choice for a first-time dog owner. If you're not sure what to do, he'll help you figure it out. While the Finnish Spitz can be fiercely independent, he also loves his family and forms a deep bond with its members. You can leave him to his own devices, but not for too long. Else he'll miss his family and feel sad that you're not around. It's great when you realize that your Finnish Spitz puppy is super smart. It's not, however, great when he realizes it, too. Smart puppies are independent puppies, which makes them much harder to train. Smart puppies also get bored easily, so you must challenge them often to hold their attention. As with all dogs, treats seem to work the best. Just be careful with how much you give him. You don't want him to become overweight. Early socialization is very important to ensure that he trusts and listens to those who are trying to train him. We have these FREE Dog Training RESOURCES here to help you. But If you're finding it too much of a challenge to train him by yourself, enroll him in obedience classes. Some Finnish Spitz owners call the breed a “wash and wear” kind of dog. This means that all he really needs is a spritz of water and a light brushing every two or three days to stay clean and look presentable. For the Finnish Spitz, shedding season occurs twice a year. During these times, you must bathe and brush him daily. After his bath, you can dry his coat with a cool-temperature blow dry. Interestingly, the shedding is worse in females who are not spayed. The coat of a spayed female, however, is softer and denser, so she requires more grooming overall than her male counterpart. The Finnish Spitz has the stamina to hunt all day long. For this reason, and because he loves the woods, a fenced-in yard is a must. Take him for a walk every day, either long or short, but longer is better. The average Finnish Spitz weight is between 29 and 29 lbs. for a male, and between 15 and 22 lbs. for a female. The average Finnish Spitz size is between 17 and 20 inches high for males, and 15 and 18 inches high for females. He has a rather high level of activity, so keep him busy to remain healthy and to avoid boredom. Remember: a bored dog is a destructive dog. Here is how exercise helps with bad behavior. The Finnish Spitz's lifespan is between 12 and 14 years and most Finnish Spitz dogs are healthy. Note: if you agree that your health and your dog's health should be a top priority then get a copy of The Ultimate Guide to Dog Health. Your Spitz friend will love you for it. So you've decided that you'd like to bring a Finnish Spitz puppy into your home, but you're not sure how. You can find a Finnish Spitz for sale either through a breeder or from a rescue or adoption agency. The price of a Finnish Spitz puppy for sale can vary, depending on what you decide to do. The average Finnish Spitz price is around $500. The price of a dog can vary, depending on where you get it, how much a breeder charges, and the rarity of the breed. Some Finnish Spitz puppies can cost as much as $700. If you are interested in a Finnish Spitz adoption, you can find a dog at your local rescue organization or adoption center. A Finnish Spitz for adoption will always cost less than one purchased from a breeder. You may have to check back, though, since breeds come and go at these places. Adoptable dogs are usually older dogs. Therefore, this is ideal for you if you don't want the stress of training a puppy not to pee on the floor or be destructive. Also, if you're looking for a Finnish Spitz mix, adoptions are a great place to look. Most if not all breeders only sell purebreds, and because purebreds are expensive, people try not to part with them. If you're looking for a Finnish Spitz breeder, be selective in your choices. A good resource to check is The Finnish Spitz Club of America. On their website, they have a Breed Information Section, which includes a directory of breeders who belong to the club. Make sure you always get the right health clearances from the breeder, and that the breeder is properly licensed to sell puppies. You don't want to bring home a new friend, only to find out that he's sick right from the start. The Finnish Spitz temperament makes him a lovable family dog who does just as well with other dogs as he does with children. If you're easily bothered by a barking dog, then he may not be right for you. You can, however, train him to use his barks wisely. Less annoying than his barks are his singing and yodeling, which he will use to greet you from time to time. He loves to talk! Grooming a Finnish Spitz is more difficult if you choose to adopt or buy a female who is not spayed. This is because her coat is softer and denser, so she requires more brushing overall. Training a Finnish Spitz is a chore due to their independence and intelligence. Treats can rein him in, but don't go overboard. The average Finnish Spitz cost is around $500, but some are as expensive as $700. 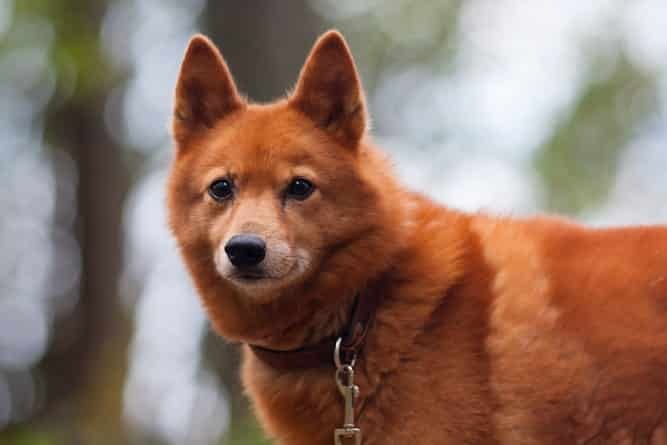 The Finnish Spitz has a long lifespan, but he is also vulnerable to several health concerns that you need to watch out for.